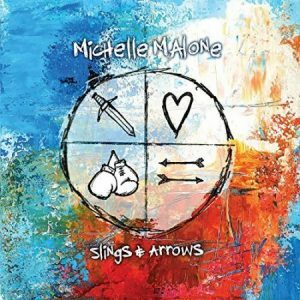 Michelle Malone is a Georgia singer, songwriter and guitar player with a great penchant for all things Americana. Here web site professes her skills in blues, roadhouse rock & roll and Georgia soul, and I must agree- she’s got a great sound and I enjoyed this CD. Malone does the vocals, slide guitar, harp, mandolin and the acoustic and electric guitars. Doug Keys is also on electric guitar, Robby Handley plays bass, Christopher Burroughs in on drums, and Trish Land does percussion. Nine of the ten cuts are originals written by Malone. The CD kicks off with a track with a cool driving beat entitled “Just Getting Started,” a song about fighting for social justice. The song features Michelle’s great vocals and some killer slide guitar. “Love Yourself” is next, a song about a woman loving themselves and not worrying about looks and societal judgement. A nice, stinging guitar solo is featured in this one. “Sugar On My Tongue” is a nice little ballad with Malone singing expressively. Peter Stroud adds some electric guitar, too. The acoustic “Beast’s Boogie” features some cool distorted harp and nice finger picking. The harp and guitar do a neat little duo and Michelle once again shows her vocal chops. The lone cover “I’ve Been Loving You Too Long” by Otis Redding is up next. Malone gives it a thoughtful and drawn out slow rendition which is very cool slow blues. Shawn Mullins joins her for a superb and soulful duet; one can feel the emotions they both portray. “Fox and the Hound” starts out subtle and then the pace picks up to a jumping groove. Malone shows restraint and then some sass in her delivery as things switch up. A big guitar solo is offered up, too. We’re back to acoustic with “Civil War;” the song is not about our country’s civil war but the breakup of a relationship. The electric guitar gets added and the song builds into a very cool and driving number. The harp solo is sweet. Following that is “Matador,” a mid tempo rocker where Malone delivers another good performance. “The Flame” follows, taking the tempo down several notches. Another well done ballad with thoughtful vocals and a very restrained guitar solo. Malone concludes with “Boxing Gloves,” a cut where she sings about finding out boxing gloves are not needed to feel strong. All in all, this is a fine album. Malone is an outstanding singer and her guitar and slide work was impressive. The supporting band also do a great job. 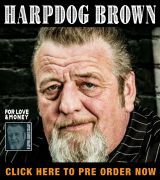 I thoroughly enjoyed this one and think most blues fans would find something here to enjoy. 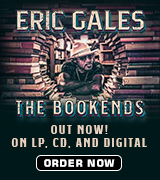 It is an upbeat, defiant album done by an artist I’d love to see live!